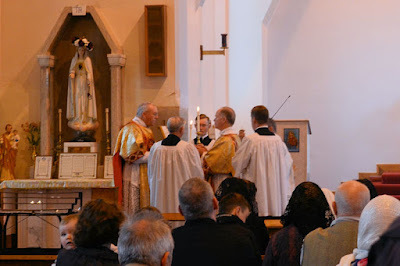 The feast of Our Lady of Mt Carmel is especially important to Catholics in the UK, since it was of course an English Carmelite, St Simon Stock, to whom the Virgin Mary appeared and gave the Scapular. 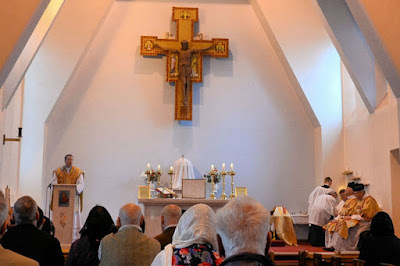 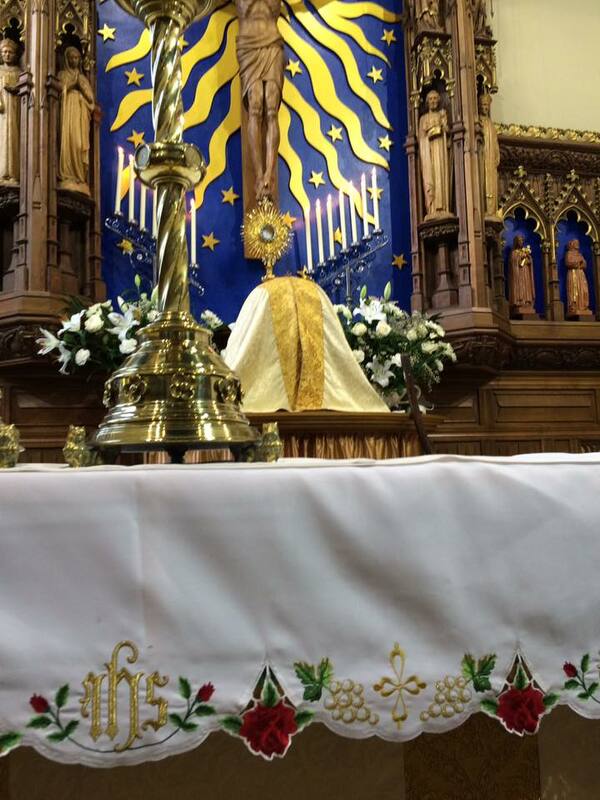 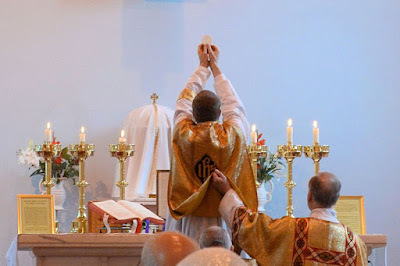 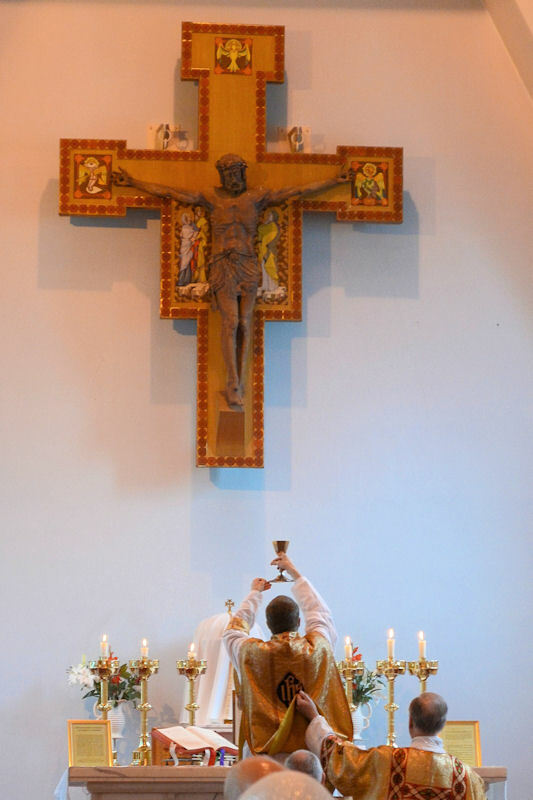 Here are some photos of two celebrations of the feast day last Saturday, a solemn first Mass celebrated in Glasgow, and a solemn Mass with the blessing and distribution of scapulars in Carlisle. 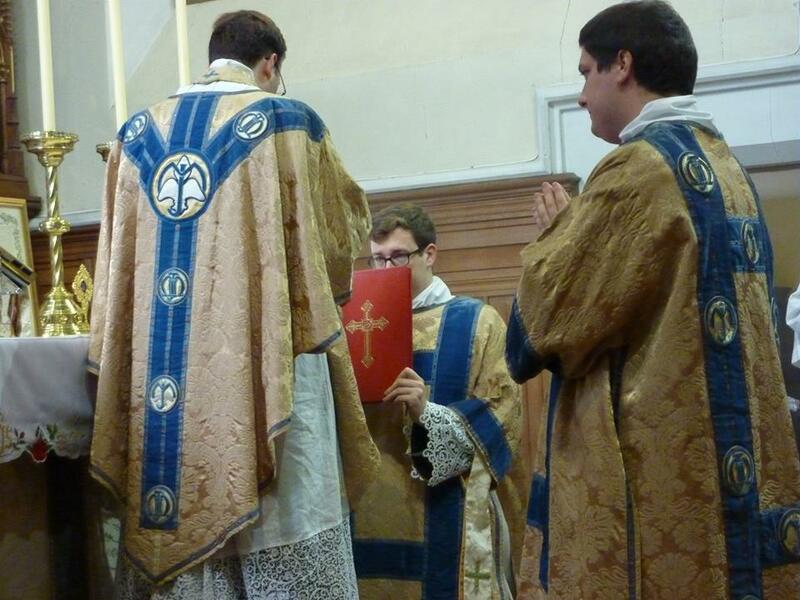 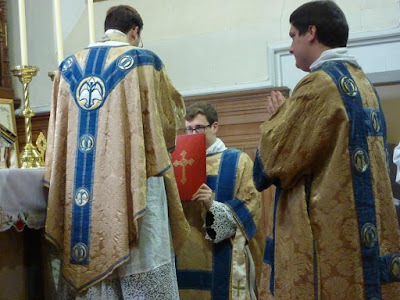 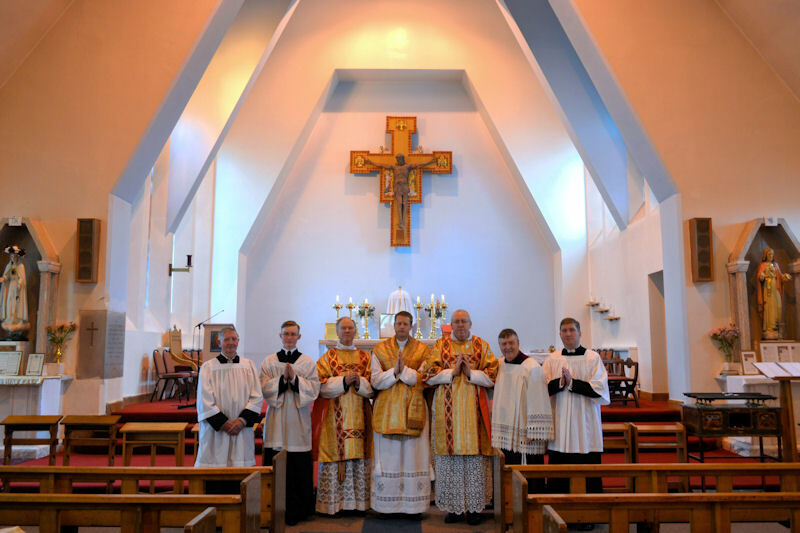 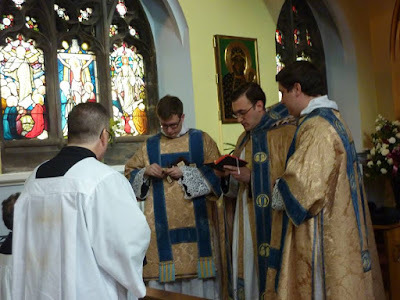 The Church of The Immaculate Heart of Mary in Glasgow welcomed newly-ordained Fr James Mawdsley, FSSP, for the celebration of one of his first Masses on the feast day. 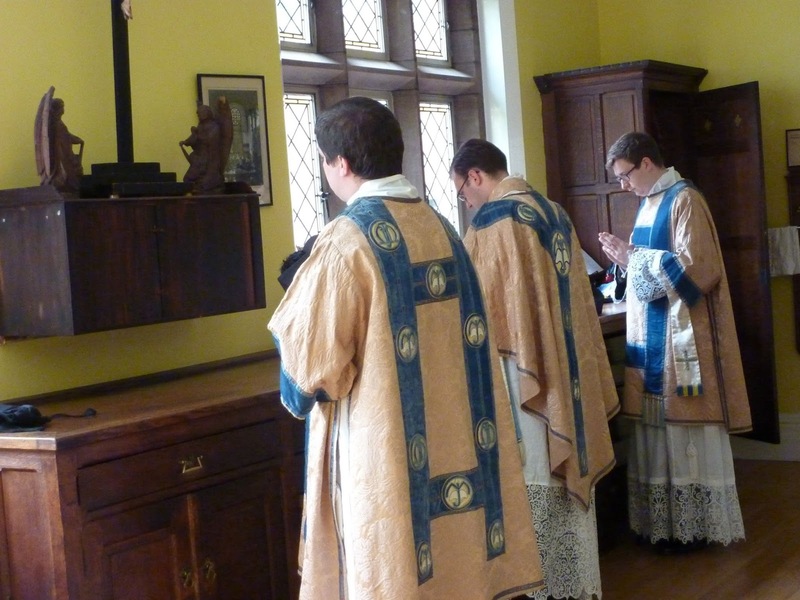 In addition to the beautiful chant of the Mass, the Schola sang the Missa Aeterna Christi Munera by Palestrina, with his Sicut Cervus as the offertory motet, and Byrd’s Ave Verum as the communion motet. 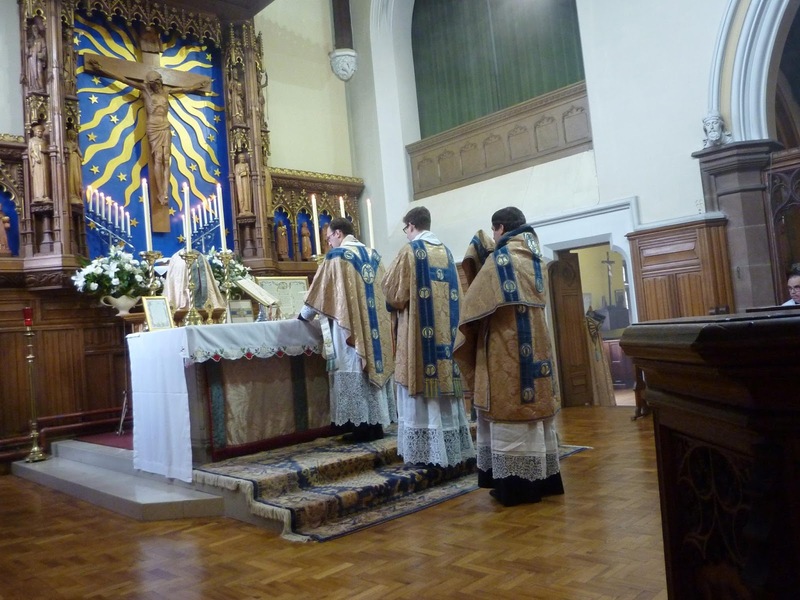 Mass was followed by the beautiful tradition of “first blessings”; Fr Mawdsley gave each individual a blessing which invoked their patron saints, as the schola sang the Te Deum. 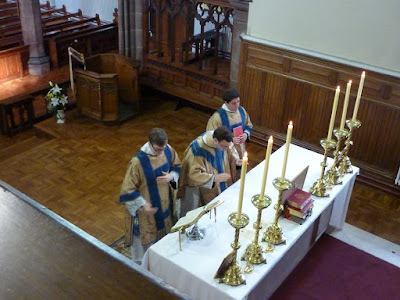 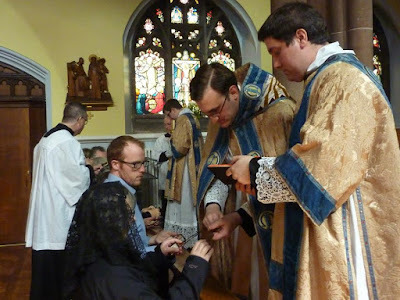 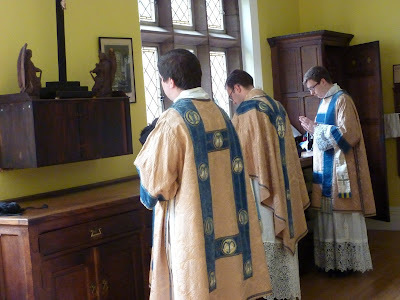 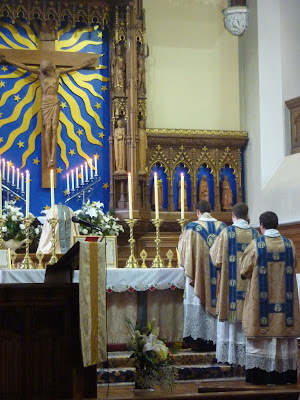 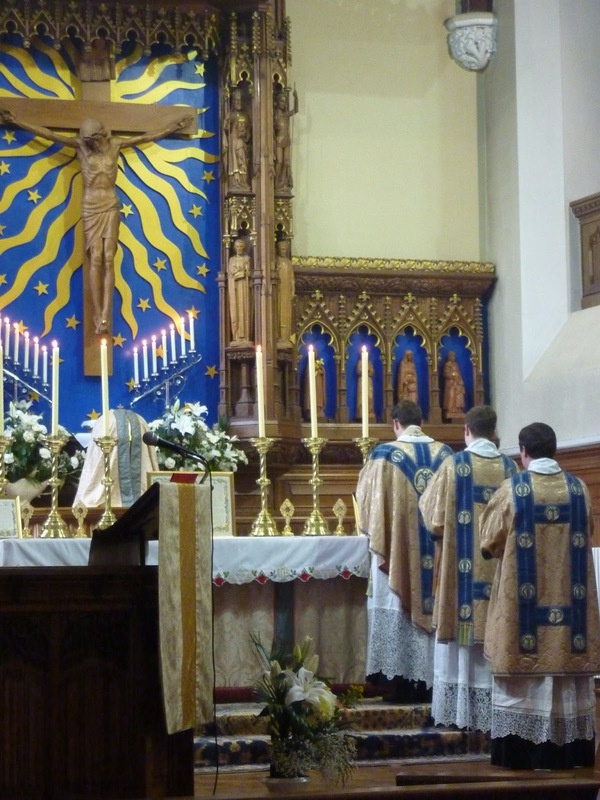 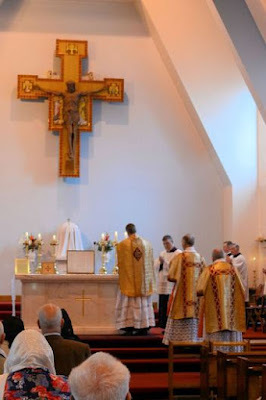 The Collegiate Church of Our Lady and St. Joseph in Carlisle, Cumbria, hosted two priests of the Institute of Christ the King for a week-long parish mission, at the conclusion of which a Solemn High Mass was celebrated, followed by the blessing and imposition of scapulars. 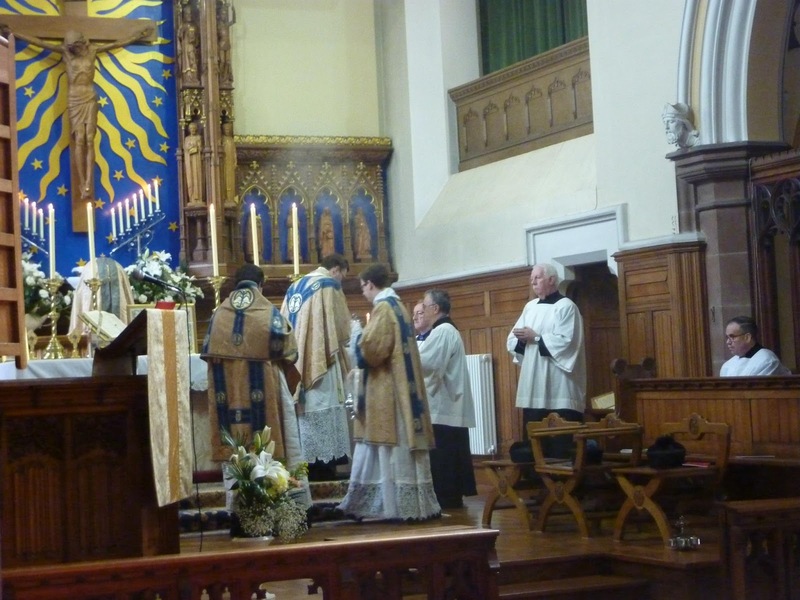 (This is presently the only collegiate church in England; the chapter was created in 2014). See more at the parish Facebook page.